This week I'm trying to fit in some of the awesome Dare to Get Dirty challenges on Splitcoaststampers. It's a fun set of challenges for people who are members of the Fan Club there. I've been using that website since I first started making cards and LOVE it. It's a great way to look at card samples sorted by the stamp sets you own! 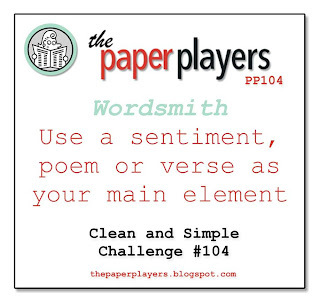 Here's my card for the first challenge. It was a tough one, but I kinda like how it turned out! For my second card I combined two challenges, the second Dare to Get Dirty challenge with the colors from Dynamic Duos. I was making this at midnight last night while my blueberry cheesecake bars (Pinterest recipe) were baking. 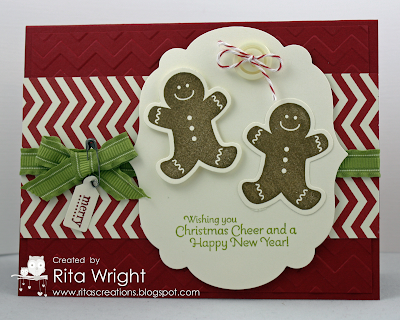 :) It's a simple, but still gorgeous card I think. I love the new ink pads because it really gives some amazing coverage and color to the image! 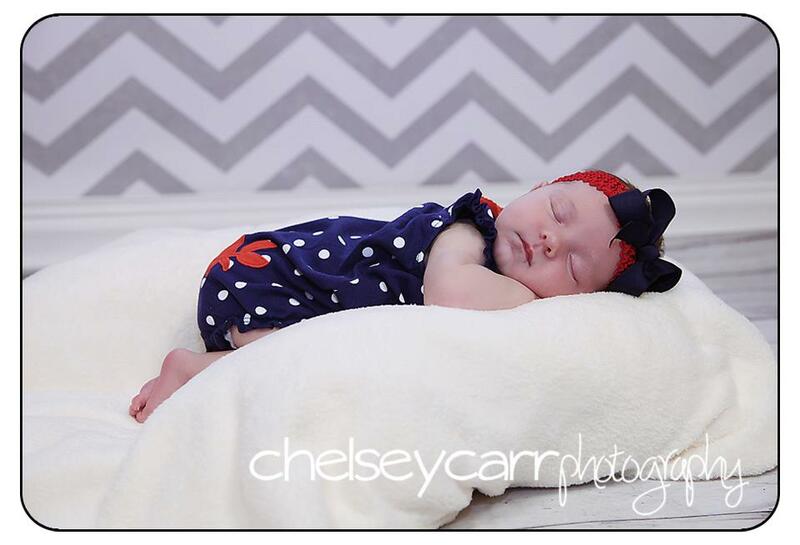 We had Laila's one month pictures made last week so I thought I'd share one of the sneak peeks we got to see. Such a little cutie! So yeah, I missed the Christmas in July thing. It just wasn't happening with a new baby. 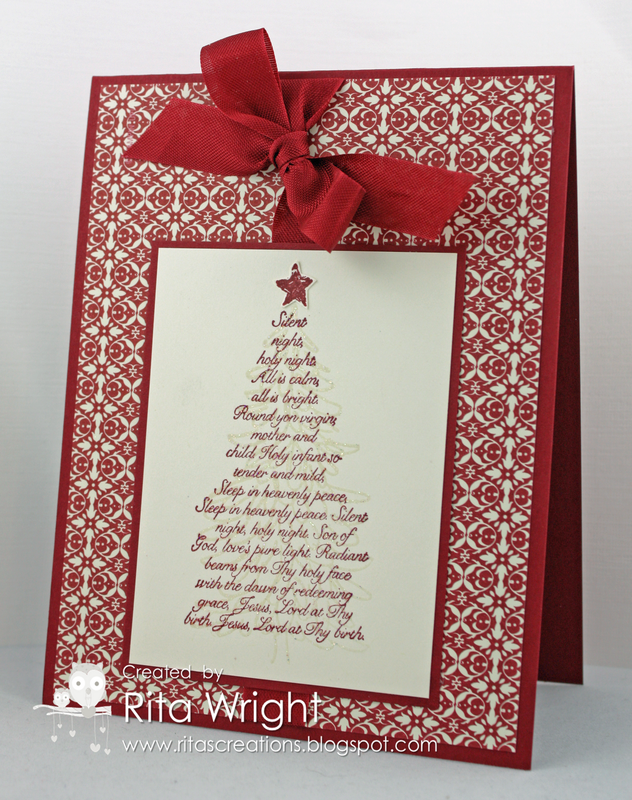 I still wanted to get an early start though, so next month I'm offering a class where we will be making 12 Christmas cards to get the holidays started! It will be held on August 17th at 6:30pm at my home. We'll be making 3 each of 4 different designs. If you are interested in attending or would like to purchase a finished set, please email me or see my demonstrator website for more details and to RSVP. 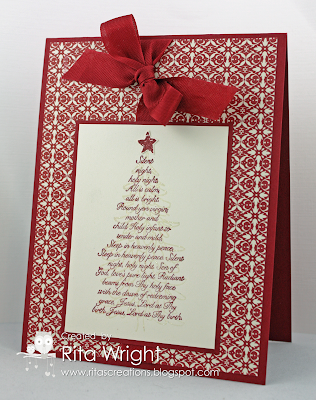 This card features a fun new stamp set from the upcoming Holiday Seasonal Catalog, Scentsational Season. It's adorable and has matching framelits! Love it! Snow Much Fun is my favorite set for the holidays as I just LOVE snowmen. Living in Texas means we don't see very much snow and I sure miss it! 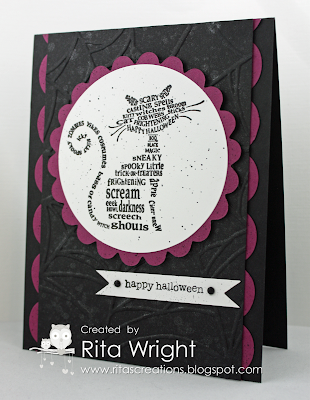 This simple card features some of my favorite colors too. I was inspired by this lovely creation by Ann. Can you believe she's a month old already? The time is just flying by! I finally made a new family blog to share her and our life in Texas with family and friends. I figure that's a great way to journal things until I find the time to scrapbook! :) She's currently sick with some serious congestion and sneezing, so I'm a bit sad as there's not much I can do to help her. Hopefully she starts feeling better soon. 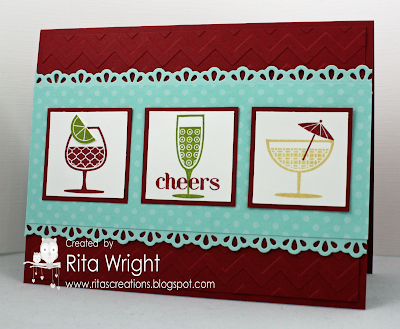 I can't believe it has been a week since I last stamped and posted! 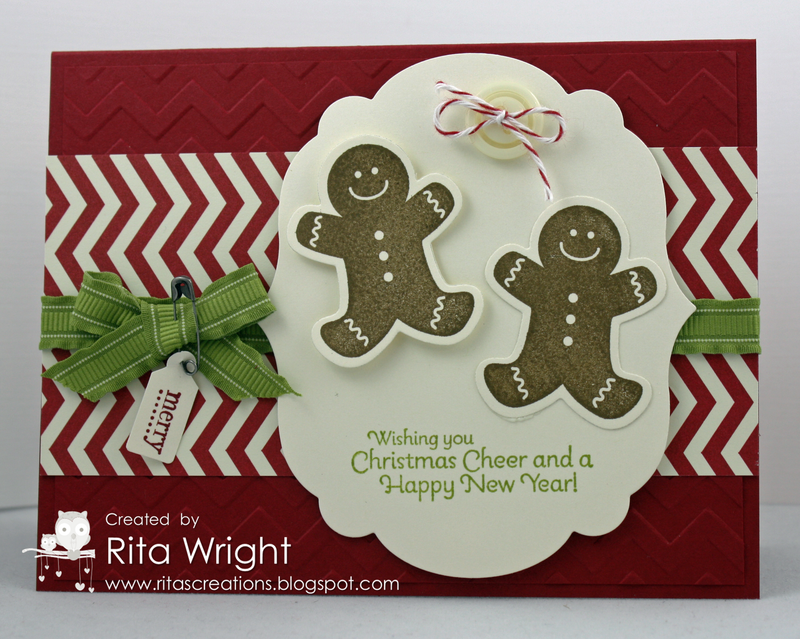 I did make a Christmas card earlier this week for an upcoming class, but that's it! Yikes. My little girl will be a month old tomorrow and I'm amazed at how fast time can go by. Anyway, I saw this sketch at Create with Connie & Mary and decided to try and fit in some stamping time while Miss Laila napped. It took me all morning working in little spurts, but I did manage to finish it! Isn't that the most adorable spooky stamp??? It is from the upcoming holiday catalog and was the first thing on my list to get! I just adore it! I heat embossed it in black and added a bit of spritzing with my black marker. My spider web embossing is sprayed with my homemade shimmer mist to give it a spooky look; I think you can kinda see it in the picture. The little rhinestones are from an old holiday mini catalog; you just get so much that it's hard to use it all up before it's no longer current. I thought they were perfect to accent my sentiment though! She's getting so big. She was 9 pounds 14 ounces at the doctor yesterday and had grown 1.5 inches! We just love her so much!!!! So excited! My little pre-order from the upcoming holiday catalog arrived today! I have had zero creativity lately, but I tried to go make something anyway. 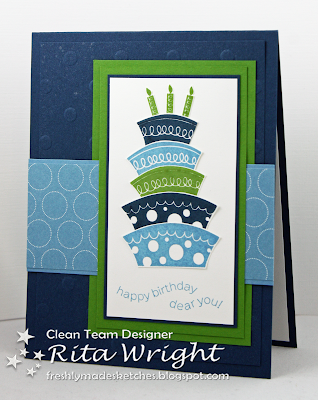 This card was inspired by a sample in the catalog; I just changed up things to use products that I actually had. :) I can't believe I made a Christmas card in July! What a week! Jason went back to work on Thursday, so I got to experience my first days home alone with the baby. It went great, but those 14-15 hour days are rough. I was glad to have him back home today for sure. I didn't find much time to stamp, but I started working on a card for the color challenge at Create with Connie & Mary last night and just finished it up tonight. A pretty simple card, but man it took me forever to make it. My poor brain is just tired lately and to top that off, I fell last weekend and either bruised or broke my tailbone! It hurts so bad to sit down so I've managed to get quite a bit of cleaning done around the house since that requires standing. :) First a rough pregnancy and now that...I'm most definitely feeling my age lately. I'm going to need that Life Alert thing before you know it. While Jason and Laila were napping tonight I spent a little time in my craft room. :) I had this flower sitting on my desk for a few weeks now and decided it was time to get it ON a card. 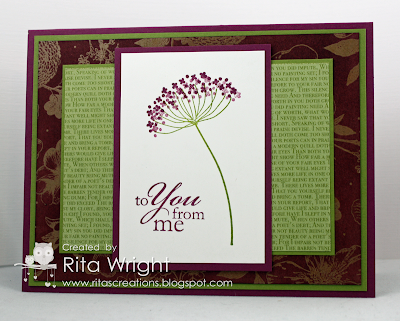 The Quint-Essential Flower stamp is pretty cool if you like punches and layers. I added even more layers to make it larger and a nicer focal point. I promise I won't use this color combination again for a while. I know I've used it a ton lately but it's just so cool! Those arms and legs just never stop moving! Tomorrow we go for her 2 week check-up so send lots of positive thoughts our way. She's being monitored for a slight heart murmur and I think she's having issues gaining weight as well. 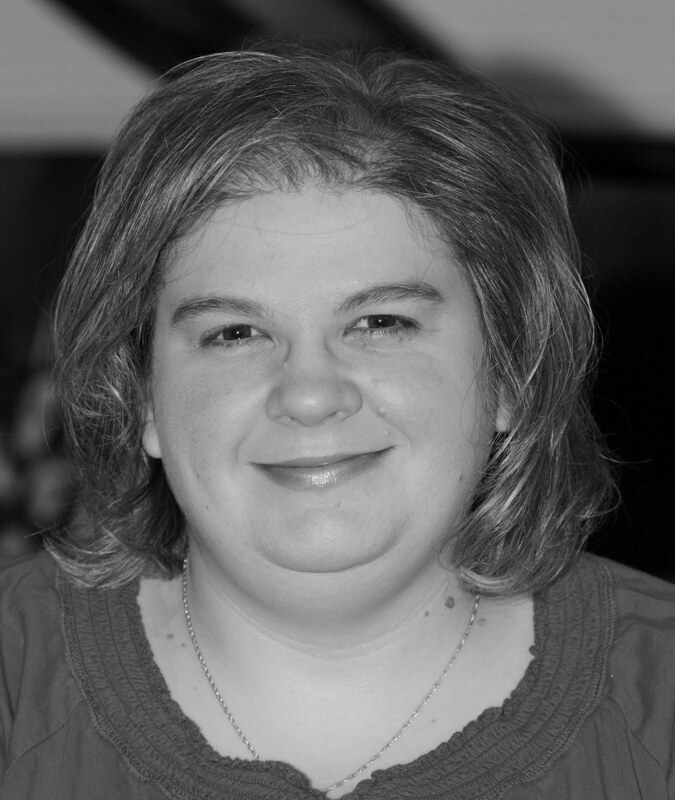 We have switched up some things with nursing and will see a lactation consultant on Thursday. Small worries, but after losing Eli I tend to freak out a little over even the slightest of things. Being a new mom is tough at times, so I keep trying to fit in some stamping time to give myself a bit of a mental break. The evenings have been very challenging for sure; what is it that makes babies so fussy around that time? 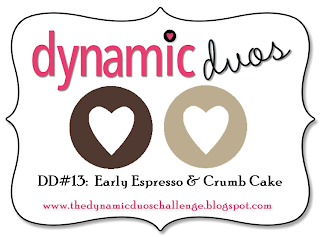 Anyway, tonight I worked on a card for one of my favorite challenges, Dynamic Duos. I wanted to make a non-embellished card that I could easily mail off to my granny this week. I really love the Natural Composition DSP. It's awesome that you can make it any color you want or leave it in its natural state. 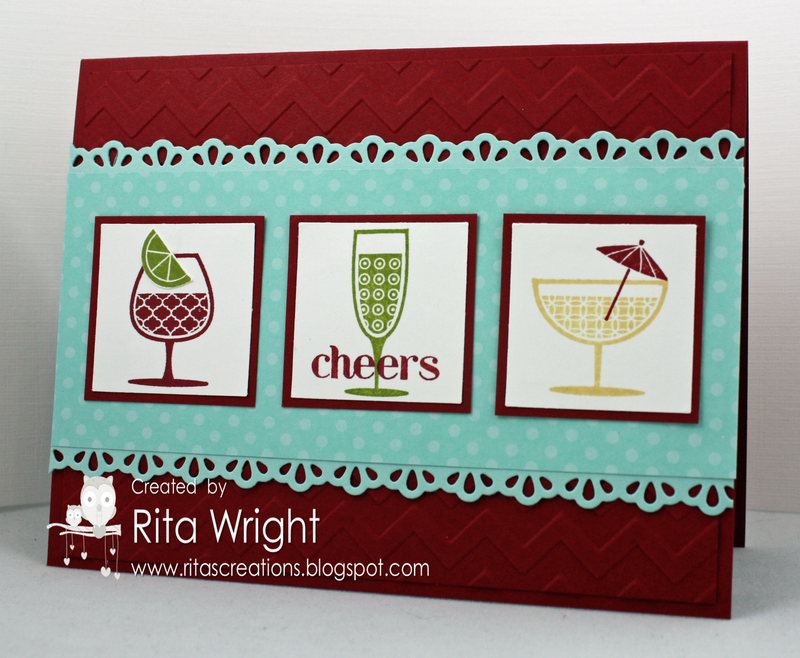 :) I paired it with the gorgeous Summer Silhouettes stamp set. Just a simple card, but I hope my granny will like it. I hear that she shows off and keeps anything I send her, so that makes me feel good that she enjoys my work. Last night I started working on a card to play along with my buddies at Freshly Made Sketches. I finished it this morning, but when I went to stamp the back of it with my personalized stamp, I smudged the Dazzling Details I'd put on the candles. 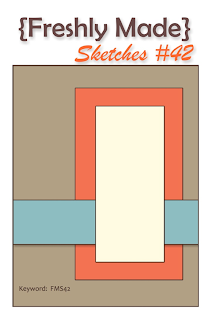 :( So...I had to redo the image panel again! A bit frustrating to say the least. I used a different sentiment the second time around and I don't like it as much as the first. I gave up though and decided it is what it is. I'm just happy to have found some creative time! I have to share Miss Laila a bit before I go. :) I love this onesie but I doubt it is going to fit anymore. She is almost out of the newborn sizes! Good morning! Up a little early this morning, so I thought I'd finish and post the card I started working on last night. My parents left to go back home today so Mom had lots of Laila time yesterday. 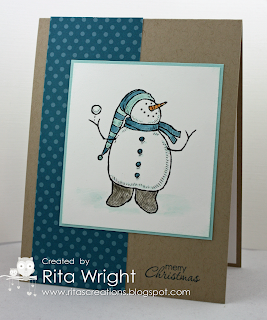 I took advantage of that and headed into my craft room for some stamping time. I had a pretty weepy day on Wednesday so I know it's important for me to try and get my "therapy" started back up. 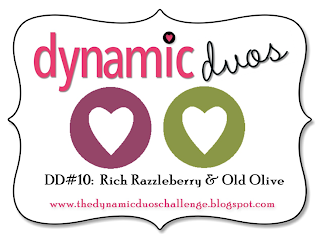 :) I wanted to play along with the challenge from Dynamic Duos this week. I totally missed the deadline to submit it for the challenge, but it was fun to make anyway. I used a mix of old and new products on this one. 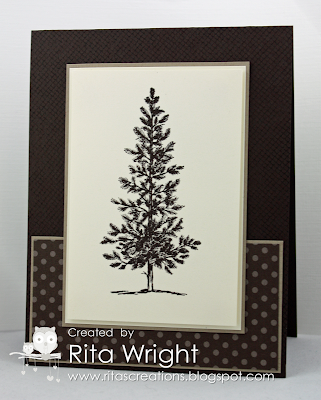 My sweet friend Marla was kind enough to gift me her Inspired by Nature stamp set and I just had to use it. It was always a favorite of mine but I never did buy it for some reason. I don't know why I love cone flowers so much, but I find myself drawn to this stamp set and the actual flowers themselves when we visit the local arboretum. 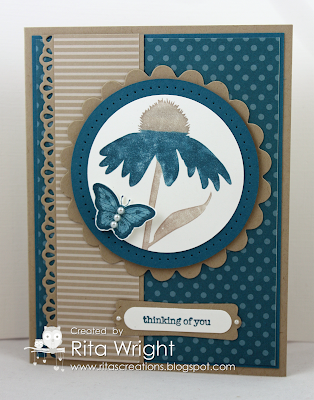 I also used a new stamp set, the gorgeous Papillon Potpourri. I just love those butterflies! 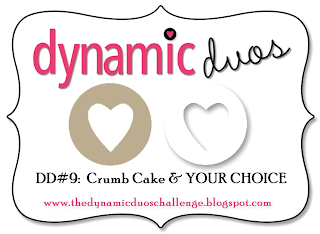 What do you think about Crumb Cake paired with Island Indigo? I like it, but Island Indigo is one of my favorite SU colors. I also tried out the new piercing products and I have to say, GET IT! I can see that quickly becoming a favorite set of tools. 4am is the perfect time for a new blog post, right? :) Laila is having one of those restless nights so I got up with her so that her daddy could get a bit of rest. I managed to sneak in a nap yesterday but he didn't and I know he's exhausted. He worked on laundry, kept my parents company, and shopped for groceries so he definitely deserves a break. I'm used to being up this time of morning anyway; I guess she prepared me well before she came out! She's been a wonderful baby so far and we are just loving her to pieces. She's sleeping in my lap right now; not sure why that works and her bed doesn't? Silly girl! Anyway...on to some pictures! Our anesthesiologist seemed to fancy himself as a bit of a photographer and snapped some pictures for us after they completed my c-section. This is one of my favorites as I think you can see the joy in our faces. I know I started crying as soon as I heard her loud cry, so any tears you see there are pure happiness. Here was the end of her sleepless night at the hospital. Jason stayed up with her most of the night because I was just so worn out. He's the most amazing dad. He's changed most of her diapers so far and is helping me any way he can to make nursing her easier. I always have a nice full glass of water at my side, pillows tucked behind my back, and someone to help me get her all settled in to sleep. He actually got up to bring her in the living room tonight so that I could sleep, but I knew he was exhausted. He always puts us first and deserves a little rest himself.